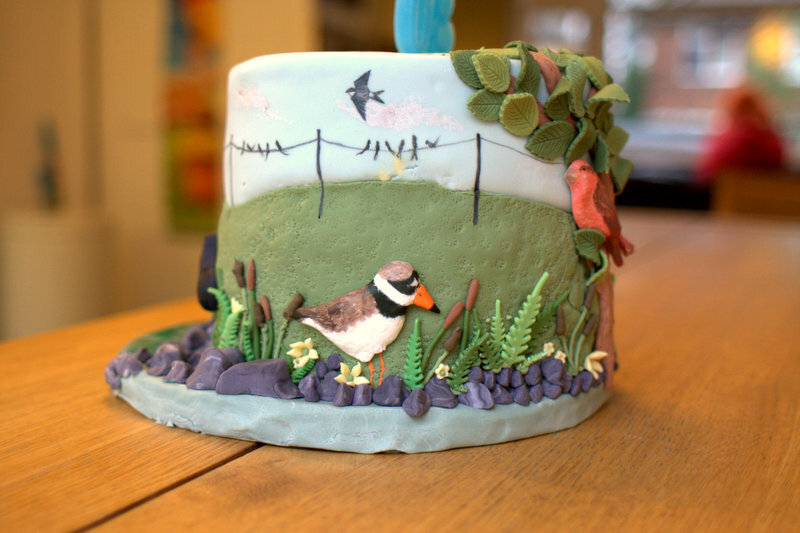 Louie’s nan was 85 last week and she also had a Little Bird Bakery Cake (this family is my best customer, did you notice?!) to celebrate. Roses for a Rose and also a few other flowers thrown into a flower pot although I hope there aren’t any horticulturalists looking at my flowers, some of them are very much based on fantasy rather than reality! 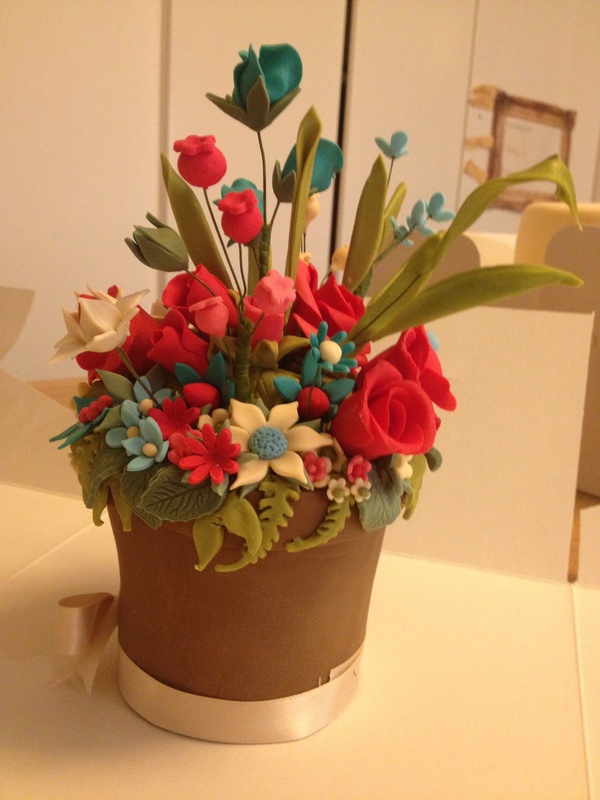 However, I enjoyed going back to flowers, it’s been a while and it was good to practice using florist paste again. I think these might be repeated! 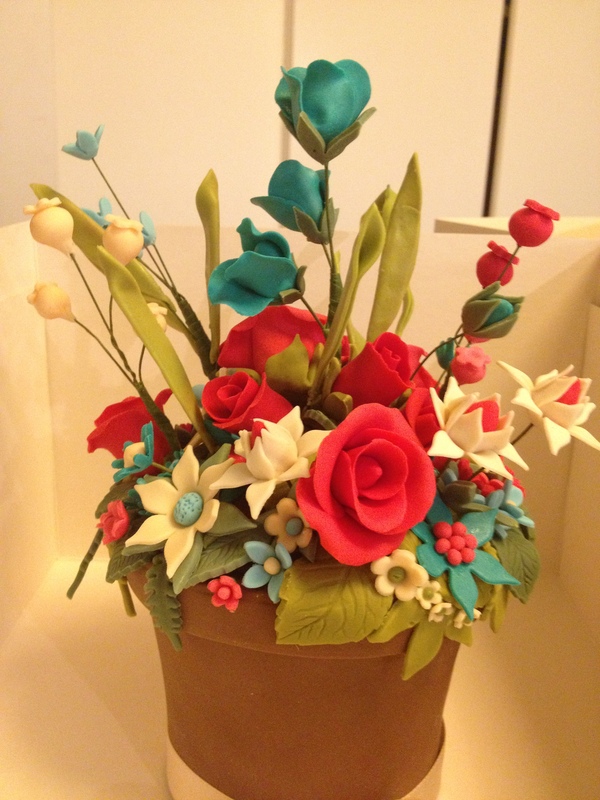 This entry was posted in Artwork, Cakes, Event cakes and tagged flower pot, horticulturalists on 20 August 2013 by Claire Gevaux. 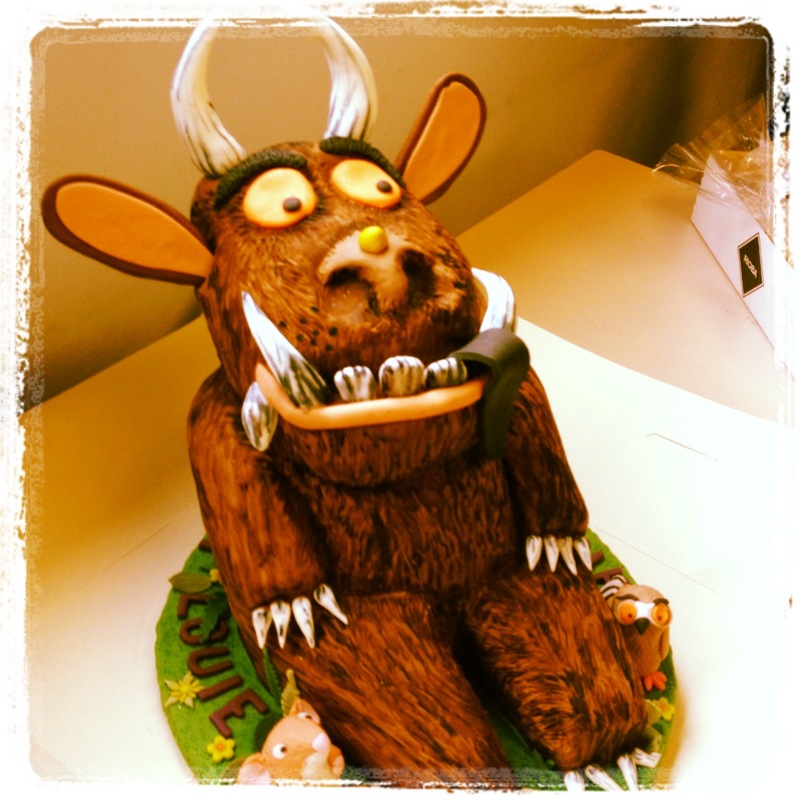 Lucky Louie had a Gruffalo cake for his birthday and it was nearly as big as him! I just forgot about the knobbly knees but he had everything else a Gruffalo should have. This was also a bit of an engineering trial but I’m glad to report that his head stayed firmly in place until the appropriate moment of cutting the cake. Phew! 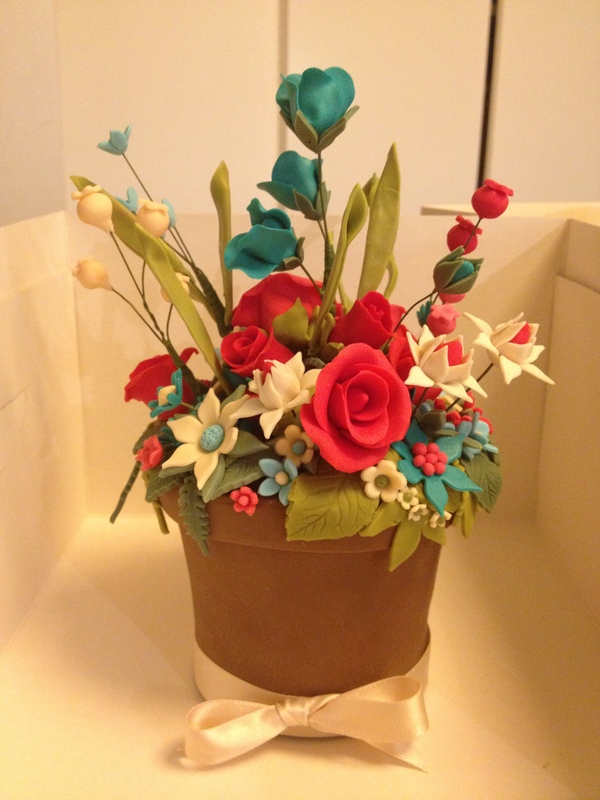 This entry was posted in Cakes, children's cakes, Event cakes, Parties on 20 August 2013 by Claire Gevaux. 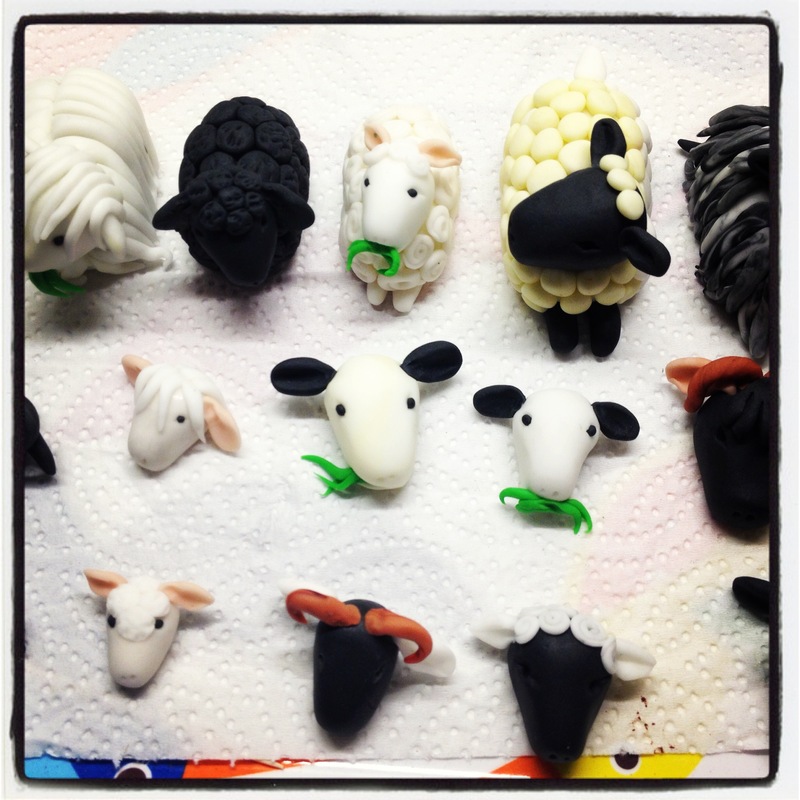 The lovely Yard theatre had a fundraising campaign (they reached their targets clever things) and so to help out in a small way, I made some sheep. 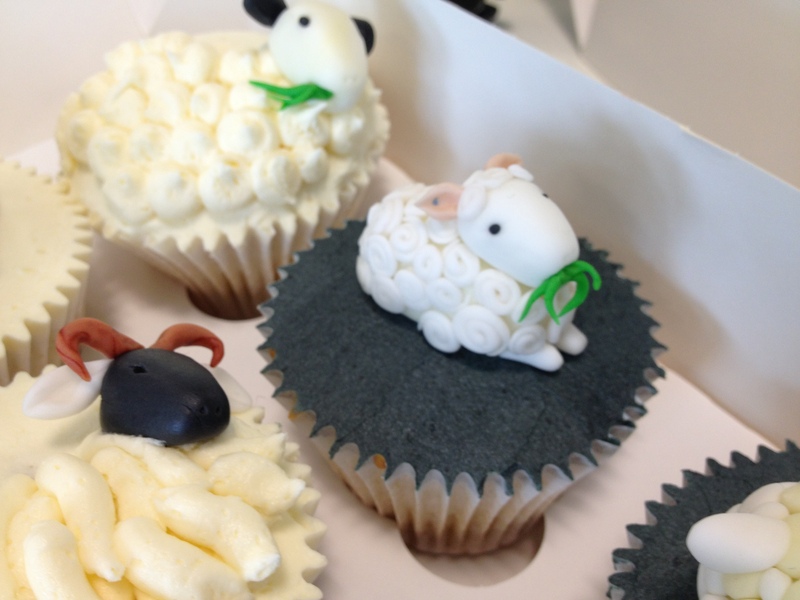 Yes, I know, why sheep but there is a logic. You’ll just have to work it out! ha ha. 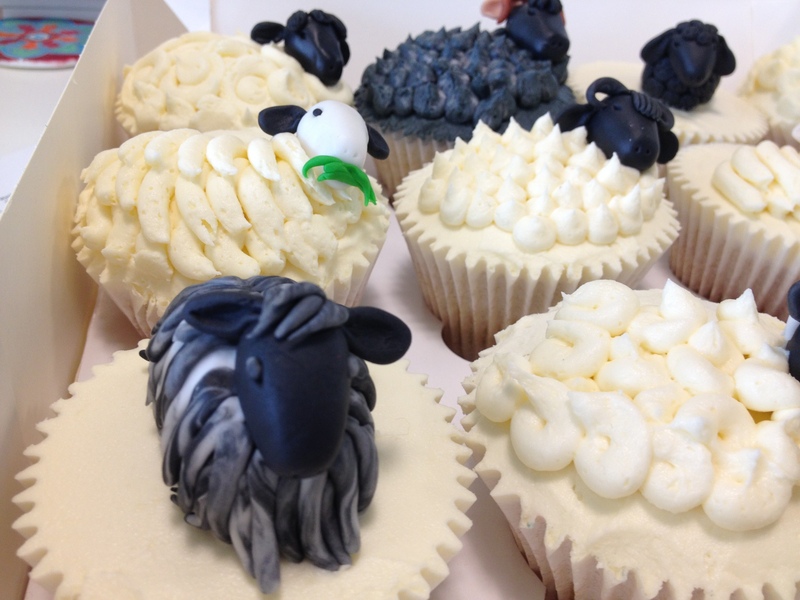 Here’s some woolly jumpers on cakes. 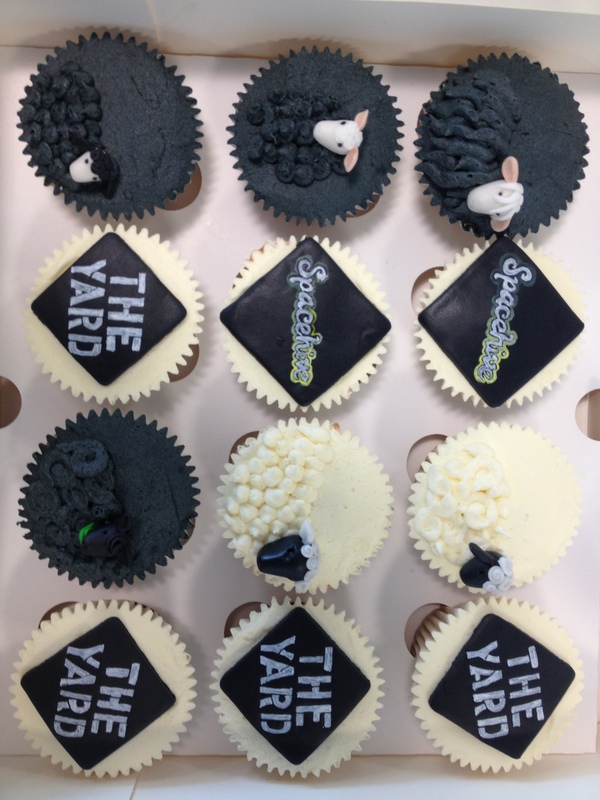 They sold like hot jumpers and I expect I’ll do some more cakes for The Yard Theatre at some point. 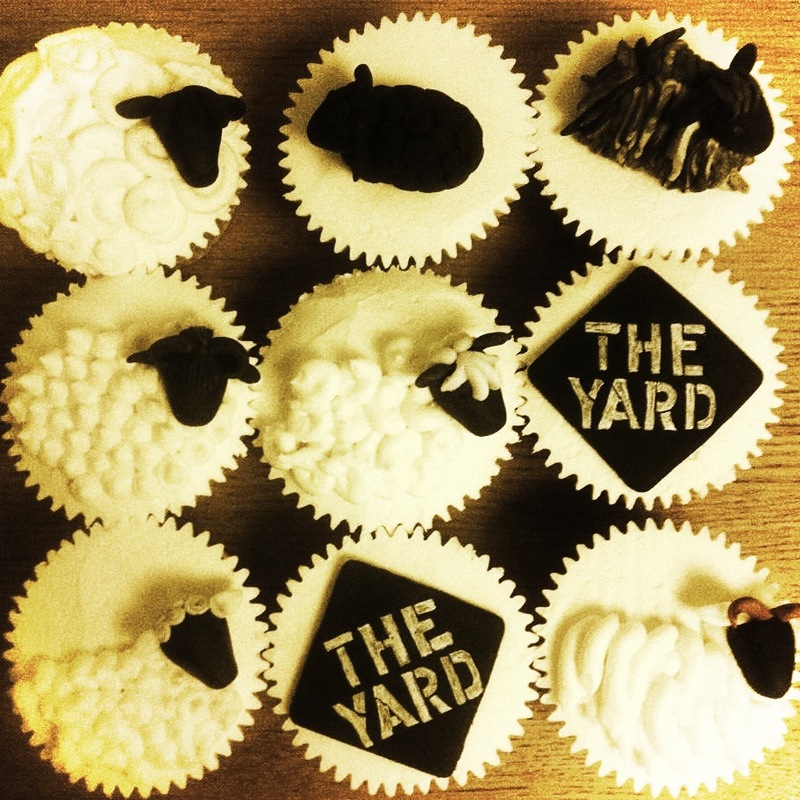 By the way, check out their website www.theyardtheatre.co.uk and get down there as its a great space with some fantastic work by emerging and established artist. 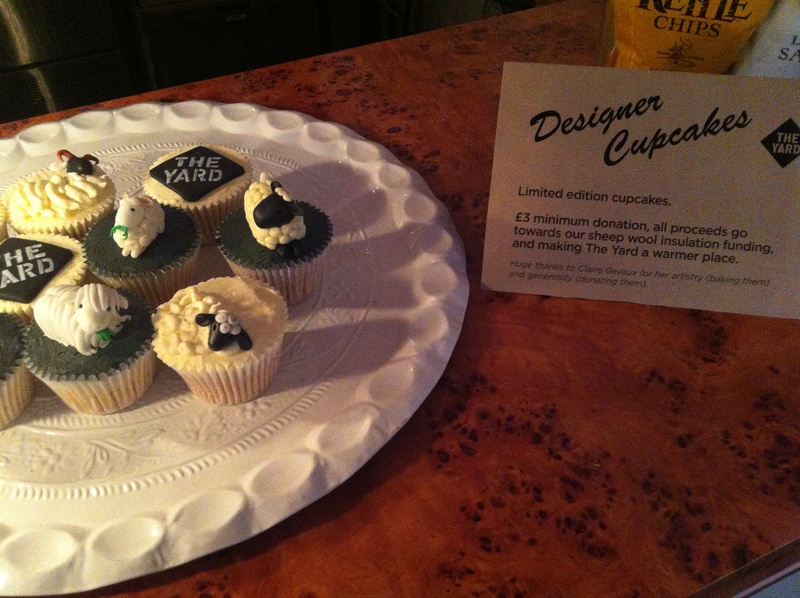 This entry was posted in Artwork, Cupcakes, Event cakes, Fundraising, London on 20 August 2013 by Claire Gevaux. 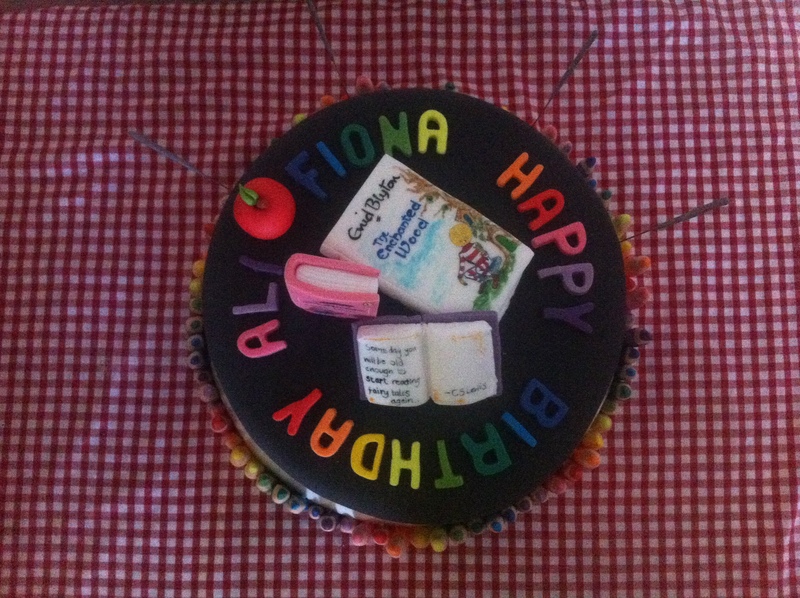 The lovely Ali and Fiona celebrated their milestone birthday together in May this year. 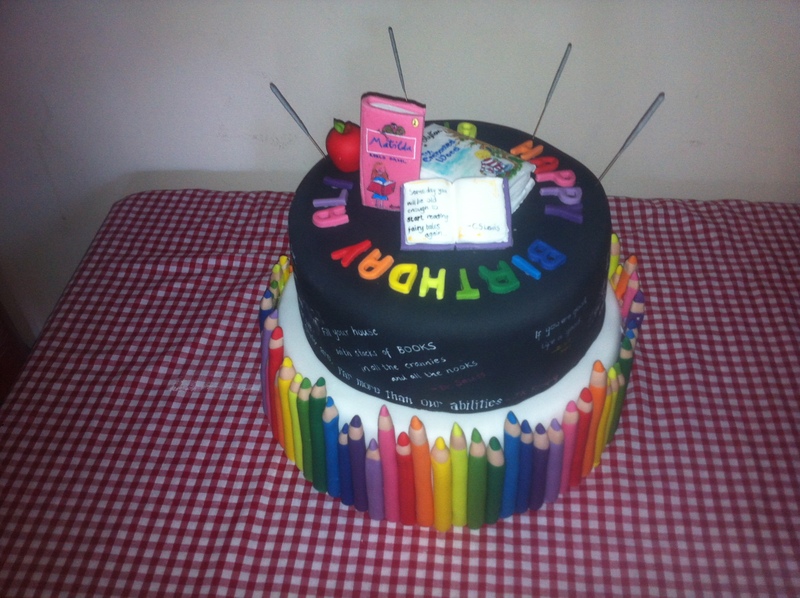 They’re both teachers so I decided to make a literature and teacher themed cake for their big bash. 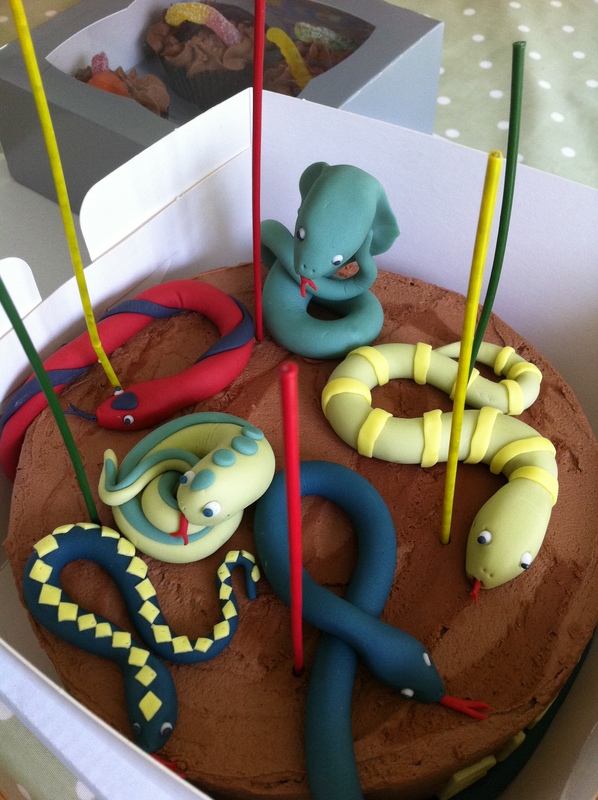 None of the party guests got to eat any cake though, how funny! My camera man went on strike again, clearly…. 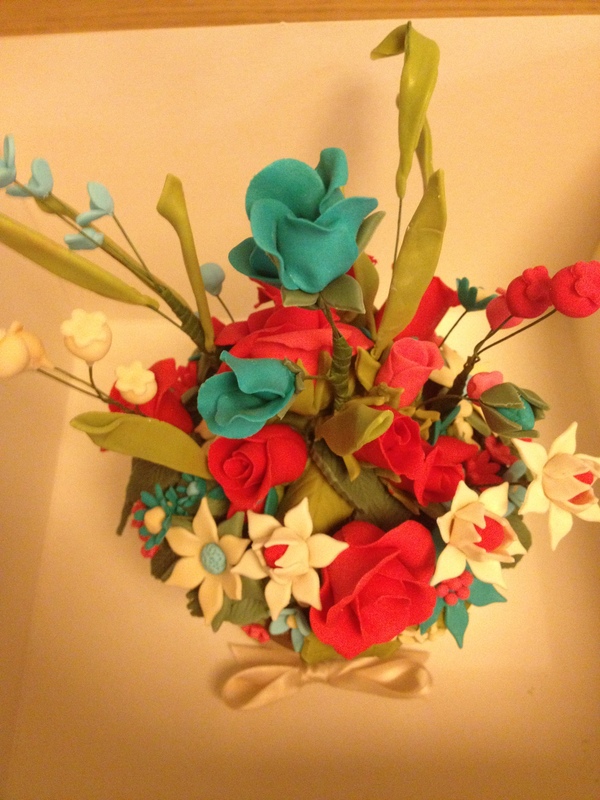 This entry was posted in Artwork, Cakes, Event cakes, Uncategorized on 20 August 2013 by Claire Gevaux. 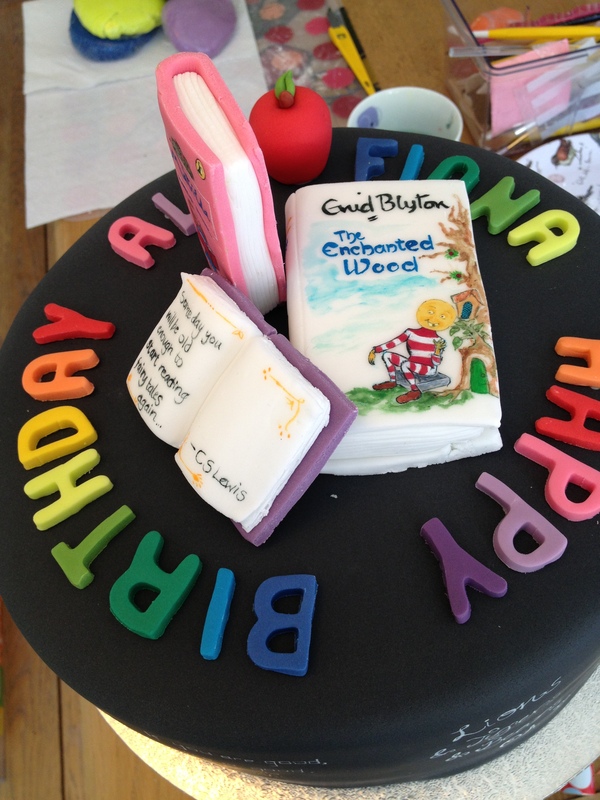 I’ve long been meaning to update the blog with more cake pictures so finally, I have a chance to do this today. Sorry about the bad photo, my camera man is a bit unreliable sometimes! 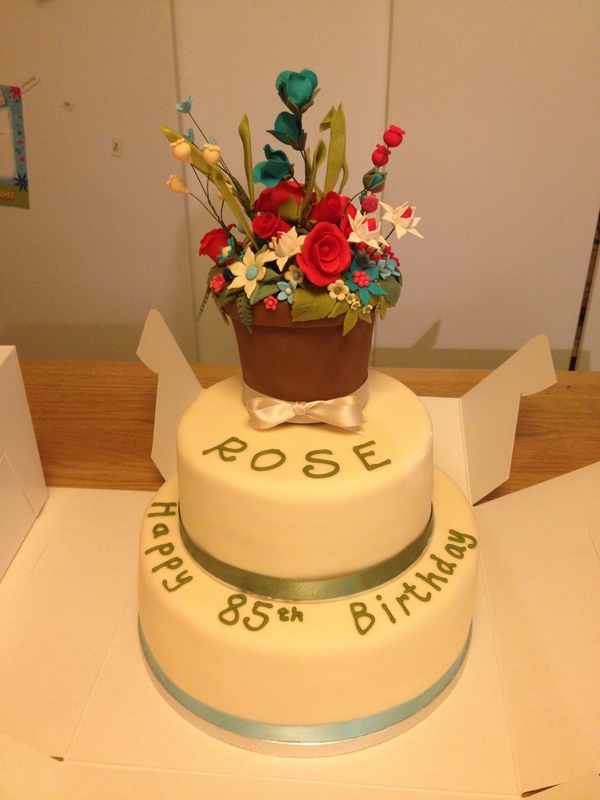 And a few more of Jenny’s mum’s cake as it was quite nice! 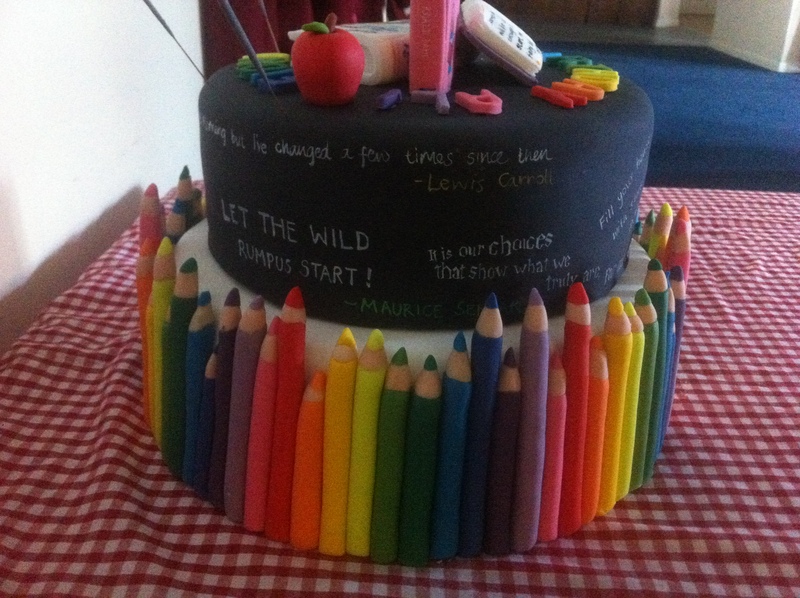 This entry was posted in Artwork, Cakes, children's cakes, Event cakes, Parties on 20 August 2013 by Claire Gevaux. My friend Adi asked us to her wedding and I also got the priviledge of making her wedding cakes. 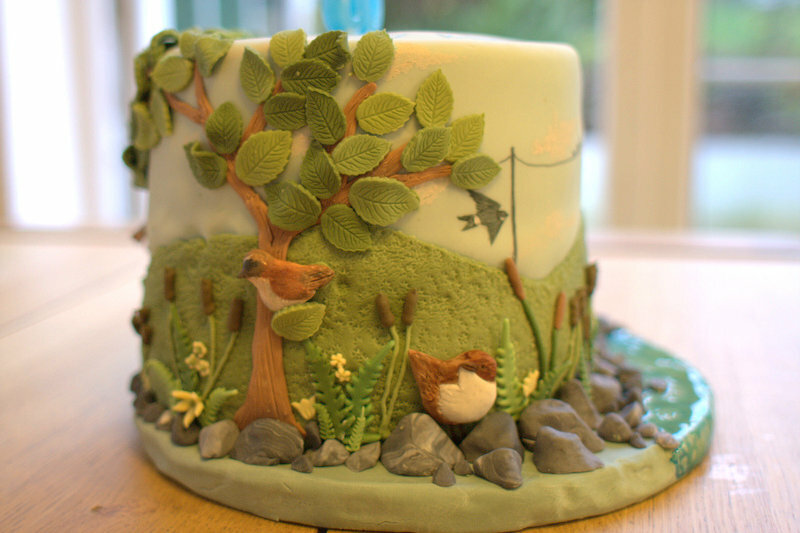 They had a mix of carrot cakes and chocolate cakes and they were woodland themed to go along with the slight squirrel theme of the wedding. Another display of shabby chic/retro cake table which looked lovely with all her flea market tea cups and tea pots. Adi kept to her Portuguese roots by continuing the tradition of linking arms to eat a cake each. Two little squirrel bride and groom sit on top of the chocolate top cake. 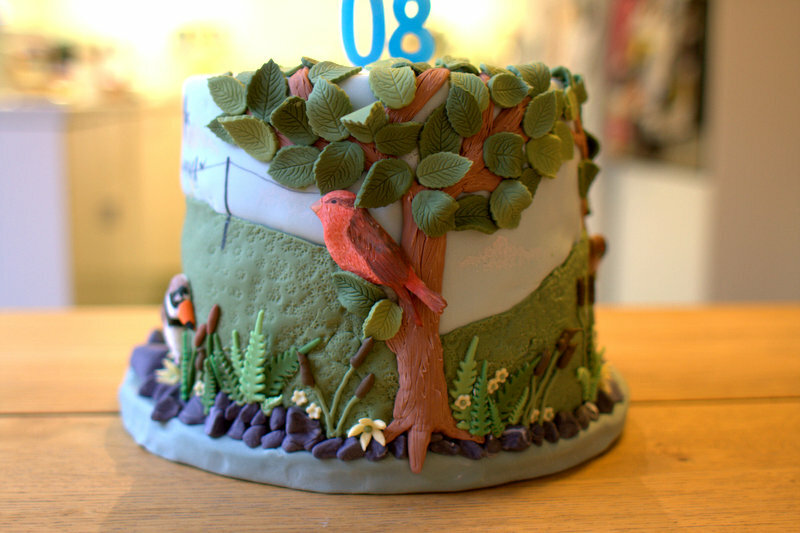 This entry was posted in Cakes, Cupcakes, Event cakes, Uncategorized, Wedding on 20 August 2013 by Claire Gevaux.